You probably have heard that every Friday night on my Facebook page I host an online happy hour. It’s a chance for friends, both real and virtual, to grab a drink… beer, wine, water, soda… whatever, and share a pic of it to answer the question… “What You Drinkin’ Tonight”? Well, the answer for me tonight is Jacob’s Creek Double Barrel Cabernet from my friends at Southern Glazer’s. It’s the perfect wine for a whiskey lovin’ guy like me that’s new to wine. It’s a big and bold Australian Cabernet that’s aged for 3 months in Irish whiskey oak barrels… Some may have even seen Jameson barrels. Like I said, sounds like my kind of wine. Jacob’s Creek Double Barrel Cabernet sells out quickly so you’ll wanna ask for it at your favorite store… and since it’s been aged in Irish whiskey oak barrels you’ll wanna pick up an extra bottle or two for St. Patrick’s Day. Don’t wait. 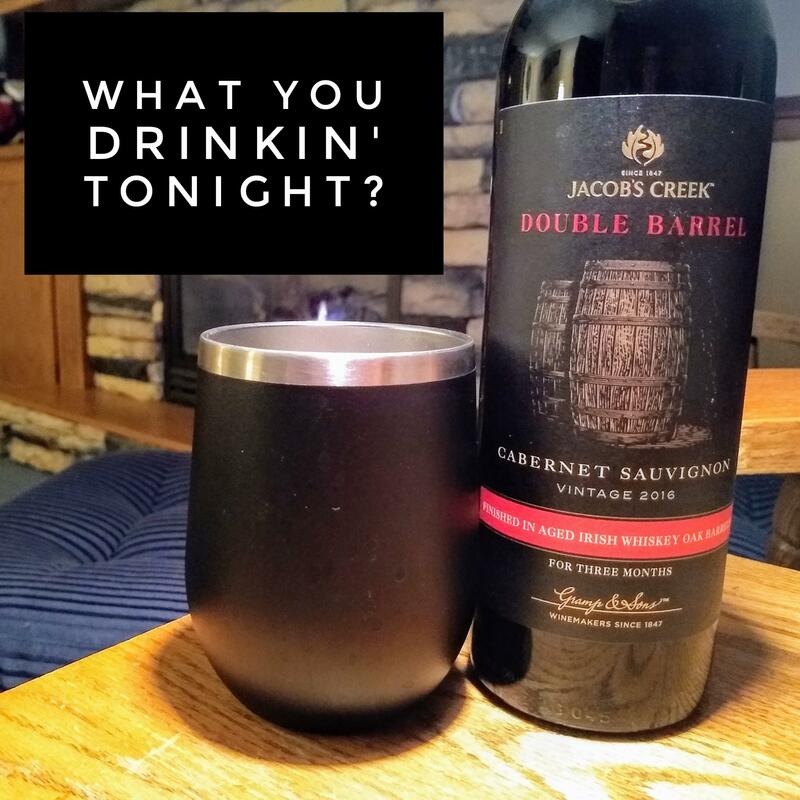 A new shipment just hit town… so grab some Jacob’s Creek Double Barrel Cabernet for yourself… and then join me on Facebook later…for “What You Drinkin’ Tonight”. Cheers!